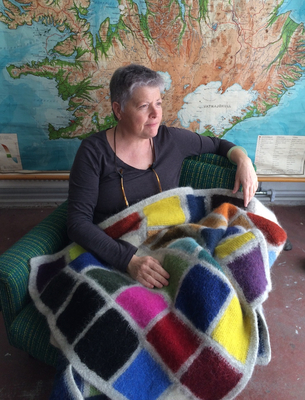 Born in Canada, Jen Pepper has exhibited in solo and group shows in international and national venues since 1990. Her work is included in the Flatfiles at Pierogi Gallery in Brooklyn, NY. A solo exhibition of her work including video projection with sculptural components was mounted in the Everson Museum of Art, Syracuse, NY and was reviewed in Sculpture magazine Vol.30 No.2, March 2011.
Pepper has been the recipient of granted awards including NEH, NYFA, NYSCA, Astraea Foundation and Saltonstall Foundation for the Arts. She has been an artist in residence at Kunstnarhuset Messen, NORWAY, NES AiR, ICELAND, Gæsteatelier Hollufgård, DENMARK, Art Colony Galichnik, MACEDONIA, Foundation Valparaiso, SPAIN, The Virginia Center for the Creative Arts, Anam Cara Colony, Ireland, Corporation of Yaddo, Sculpture Space and Millay Colony for the Arts, NY. Pepper has been a guest panelist at national Women’s Studies, Social Science and Society for Aesthetics annual conferences presenting papers on feminism and explorations of identity, and a visiting artist at various colleges and universities. She holds a BFA from The Maryland Institute College of Art and an MFA from The University of Connecticut at Storrs. She is an associate professor of Studio Art and Design at Cazenovia College since 2003 and the Gallery Director of The Reisman Hall Art Gallery since 2005.